common infected, including the terrifying Mudmen. 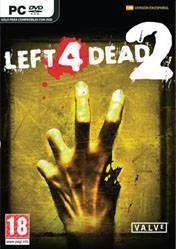 Left 4 dead 2 is a pretty great shooter game. With the online being active as ever with many mods, and custom maps you will get your fill with this game after you finish the main campaigns. I'm a huge fan of this game. I don't use every game mode it has, but I really like to play cooperative with 2-3 friends most times I play. All of us use voice chat. I think it's a great game to spend some time with friends. I also like that it runs on Windows, Mac, and Linux. Installation is very easy on Linux computer, which not every cross platform game that says it's Linux compatible can boast. One of the top zombie apocalypse CO-OP games I have really enjoed playing. I recommend it to anyone who enjoys a FPS zombie blasting game, not that hard if played on lower difficulties, but players who are looking for a challenge there's realism mode. Extremely easy to add mods trough steam workshop. Could be player profile levels, but it's an old game, cannot expect that.